Two expressions of interest have been received for stations including Beat FM, Ocean FM, Midlands 103 and Sunshine FM. THE BROADCASTING AUTHORITY of Ireland has received 17 expressions of interest for 12 local sound broadcasting services since 24 January. While there was one expression of interest for many of the stations, some face competition as two expressions of interest were sent in. Two were also received for the North Donegal broad-format, local radio service, which is currently held by Highland Radio and due to expire on 12 March 2014. The final licence to receive two expressions of interest was the one for a niche music-driven service in Dublin City and County, currently held by Sunshine 106.8fm and due to expire 30 March 2014. Cork City and County: music-driven radio service, target audience 15–34 year olds. Currently held by Red FM, due to expire on 15 January 2014. 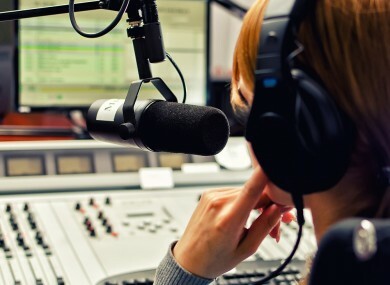 Cork City and County: Two services to be operated under a single contract: broad-format, local radio service and music-driven, local radio service. Currently C103 and Cork’s 96 FM, due to expire on 31 October 2014. County Kerry: broad-format, local radio service. Currently Radio Kerry, due to expire on 9 July 2014. Counties Carlow and Kilkenny: broad-format, local radio service. Currently KCLR, due to expire on 21 April 2014. County Kildare: broad-format, local radio service. Currently broadcasting as Kfm, due to expire on 16 January 2014. The Contract Awards Committee of the BAI will meet on 1 May to consider the expressions of interest and determine the next stage in the licensing process for each franchise area. Email “17 compete for 12 local radio services”. Feedback on “17 compete for 12 local radio services”.